Chabrier – I keep forgetting he`s French, not Spanish. Here`s why. Emmanuel Chabrier was a French Romantic composer, known for his orchestral music though he also wrote operas, songs, and piano music that didn’t make it to the standard repertoire. He was an example of a composer whose overall works were known in his day, but less so in the years to come. He loved art, and was friends with Claude Monet and Edouard Manet, and collected their paintings before Impressionism was a “thing”. In 1882, Chabrier visited Spain, and the experience left us with his most famous work, Espana. Charbrier and his wife travelled the country for several months in 1882, and he felt a strong connection to the music of different regions, even notating melodies in letters to friends back home. 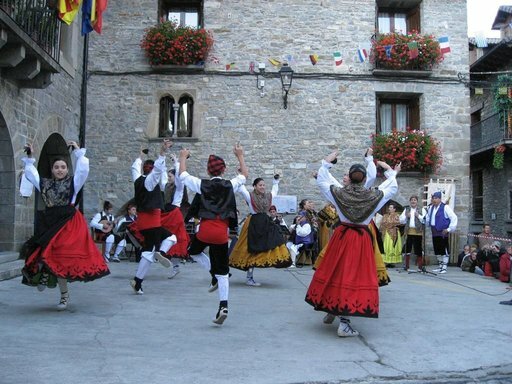 Espana is based on a nation-wide dance form called jota. What began as a piano duet expanded to a full orchestral version, was received well by audiences and critics alike, and Chabrier achieved immediate fame as a result. Composer Manuel de Falla claimed no Spanish-born composer ever nailed the jota sound quite like Chabrier; symphony heavyweight Mahler declared Espana “the start of modern music” to the musicians of the New York Philharmonic. Chabrier himself was more laissez-faire; “it’s a piece in F, and nothing more,” he said. To this day, it’s a favourite choice among figure skaters. While recognized with the order of Chevalier de la Legion d’honneur, Chabrier died far too young, with little money to his name, and depressed that his stage works were neglected. He will be remembered though, for his originality and mastery of harmonic colours and orchestral compositions. Here’s conductor Leonard Slatkin conducting the BBC Symphony Orchestra. Emmanuel Chabrier was born January 18, 1841 in Ambert, France, and died September 13, 1894 in Paris.